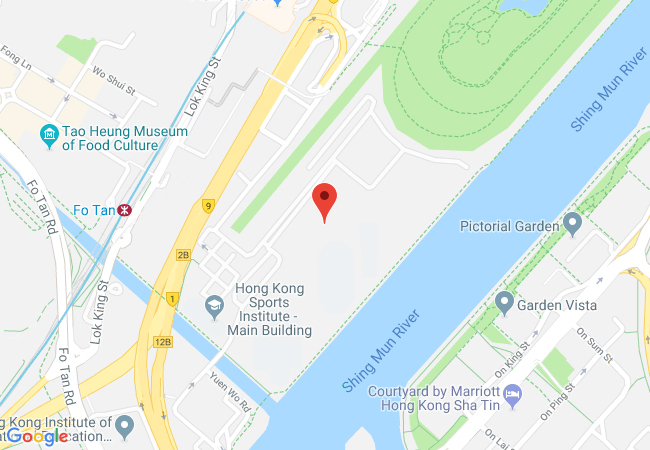 Public Transport to the HKSI: Take the MTR East Rail Line to the Fo Tan station, then take Exit A and follow the sign to the covered footbridge (next to the Fo Tan Railway House) which will lead to the HKSI Main Entrance (about 5 minutes' walk). * Off-site training facilities were provided for the sport to cater for its specific training needs. The existing 25m swimming pool has been refurbished and can be connected with the new 52m swimming pool to form an integrated swimming complex. 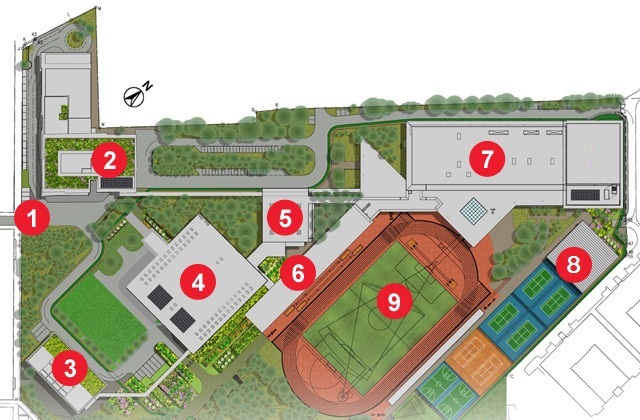 The Building comprises a multi-purpose training hall and elite coaching teams’ offices for long-term development of Paralympic sports, junior athletes, and coach education in Hong Kong. The whole building is barrier-free, with a lift especially designed to accommodate two wheelchairs simultaneously. Through the joint efforts of the HKSI's professional catering team and sport nutritionists, the Elite Corner offers a great choice of healthy and tasty dishes for athletes to support the demand of their daily training. Flexible seating formats available to accommodate seminars, professional training workshops, annual general meetings, conferences, receptions, etc. With accommodation for up to 370 athletes, the Athlete Hostel provides a comfortable home for elite athletes to help them focus on training to achieve their best in every competition. The Sports Medicine Centre provides athletes with medical support services, including physical examinations, general clinic services, orthopaedic consultations, physiotherapy, Chinese medicine, Chinese manual therapy, rehabilitative training, therapeutic exercise, and sports massage. In addition, the Centre provides athletes with regular musculo-skeletal evaluations, postural and movement impairment assessment for sports activities and training sessions for enhanced flexibility, shoulder and core stability. The Sports Nutrition Monitoring Centre plays a vital role in the development of athlete dietary habits. Performance nutritionists and dietitians at the Centre provide a four-pronged approach to improve athletes’ performance. Through the application of current research, the Centre ensures athletes receive today’s best practices in each element of provision. The Scientific Conditioning Centre works closely with the other centres within the Elite Science & Technology Division to develop and implement science-based strength and conditioning programmes designed to optimise athletes’ performance by improving their cardiovascular system, power, strength, speed, agility, and mobility, thus enabling them to perform to their fullest potential. This is achieved through the use of scientific testing (both laboratory-based and field-based) to quantify and monitor training. This ensures a more precise determination of effective periodisation programmes on training load and intensity, which enables coaches to adjust training programmes to maximise their desired outcomes. The Sport Biomechanics & Technology Centre is responsible for providing measurement and analysis of sporting skills, as well as tracking and evaluating the technical and tactical patterns of other national high performance athletes in order to set benchmarks for training and competitions. Feedback is then given to coaches and athletes on technique improvement. The Centre works closely with the other centres to identify the physiological requirements of individual sport by means of on-field video analysis. The results will be shared with the strength and conditioning coaches as a reference when preparing training plans. Sport psychology consultants in Sport Psychology Centre provide one-on-one and group services to athletes. As scientific practitioners, sport psychology consultants employ evidence-based approach (e.g. cognitive behavioural therapy and mindfulness based therapy) in the consultation services. Performance enhancement is the main goal. Subdivided concerns include anxiety management, self-confidence, goal setting in competition and training, concentration and refocus, group dynamic and career development. Mental skills training (i.e. self-talk, imagery, relaxation, routine and goal settings) and psychological counselling are two key areas covered in consultation. 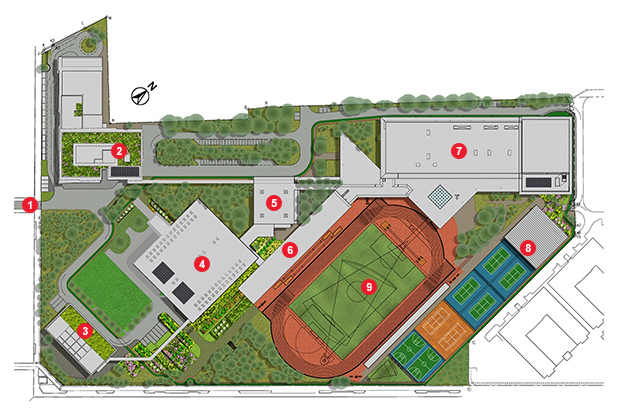 * Off-site training facilities are provided for the sport to cater for its specific training needs. * In addition to the Swimming Complex and the Athletic Field, off-site training facilities are provided for the sport to cater for its specific training needs.